I love sweet potatoes. When I am training for a marathon, sweet potatoes are a huge part of my diet. Sweet potatoes are packed with essential vitamins (A and C), and loaded with fiber. 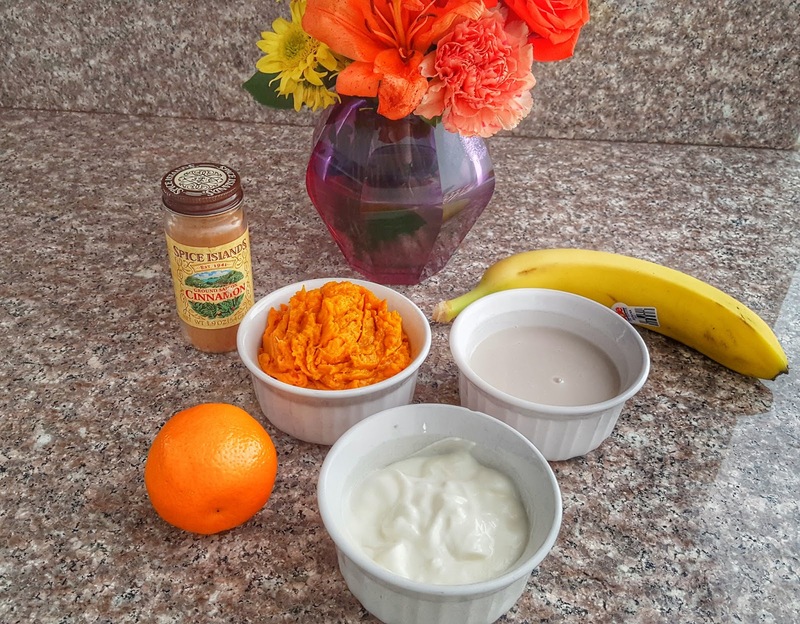 This amazing orange potato is also a huge carbohydrate source that is perfect for runners. In fact, 1 cup of mashed sweet potato contains 27 grams of carbohydrate! During my taper for the Boston Marathon, I am focused on rest, eating healthy food and mentally focusing on my race. 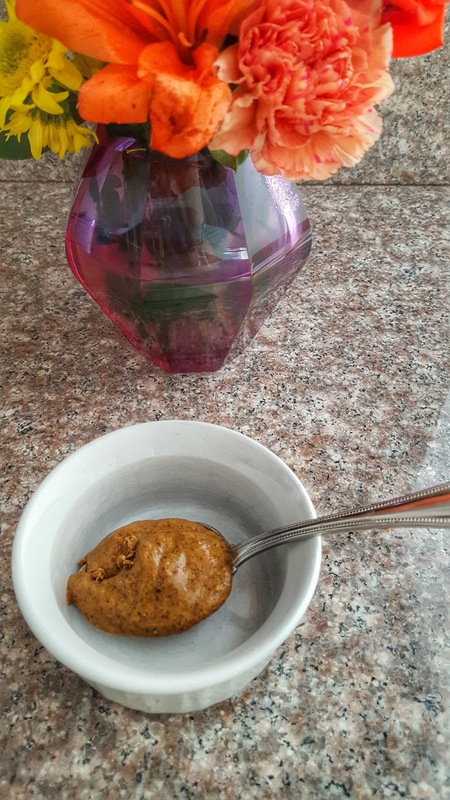 I was eating a sweet potato this week and thought "This would taste great as a smoothie!" The wheels started turning, my kitchen cabinets began to open and viola! A smoothie was born. Jerold gave me the thumbs up and my kiddos loved it - a total win. This smoothie is super easy to make, the biggest part is baking the sweet potato. I set my oven to 475 F, pop them in and let them bake for about 1 hour or until soft. I also added 1 tablespoon of almond butter for even extra protein. It adds a nutty, delicious taste to the smoothie. 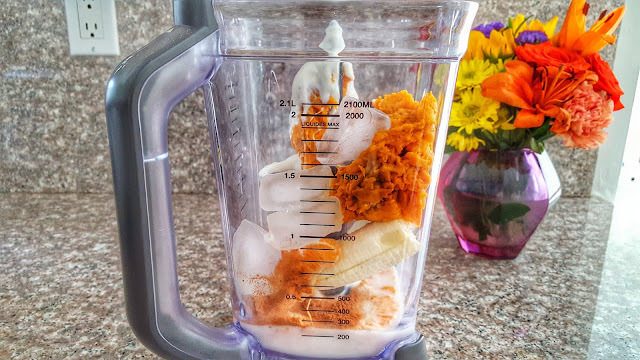 Throw all the ingredients into the blender with 5 ice cubes and serve immediately. 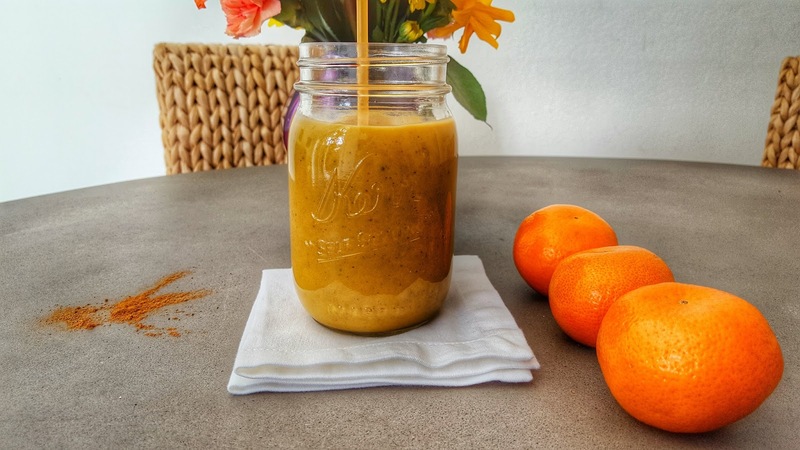 This is an AWESOME recovery smoothie! 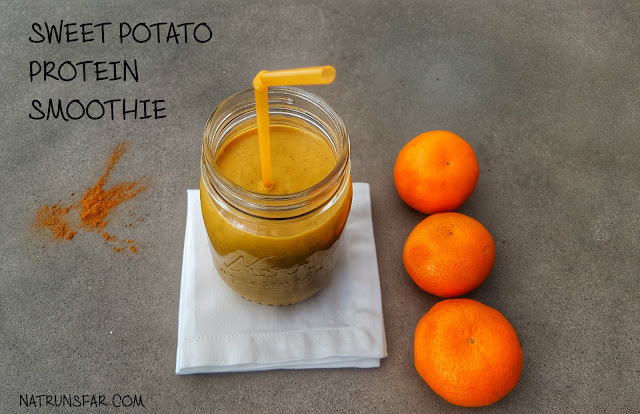 Have you ever had sweet potato in a smoothie?